Dan Shak was all in preflop with [Ks][Kd] and was up against two other players who held [Ad][Kc] and [Qh][Qc]. 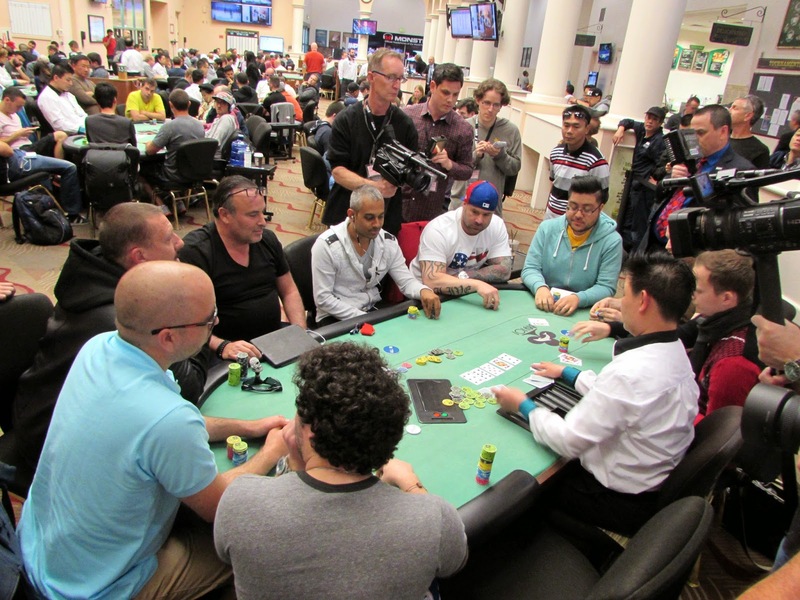 Another player said he folded an ace, and from an adjacent table Mohsin Charania said, "He's got this." Predictably, the board ran out [6c][9s][8d][Jh][5s], and Dan will survive with a triple up.